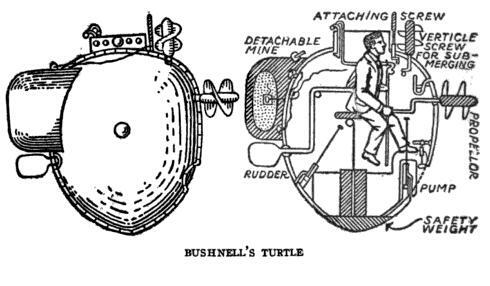 Here is where the submarine service in the United States started ~ David Bushnell & The Turtle. I enjoyed a feast of thanksgiving twice this week. The first was in two rooms full of friends new and old, multiple languages, multiple ages, multiple religious faiths, and families large and small. The second was a more private and personal nourishment and reflection. It was the second feast I wish to share with you. The second dish is also a Robert Fulghum story. George was very old. He was put in a nursing home by family and never had any visitors. Finally he just stopped talking and refused to leave his room. He still took care of himself and cooperated with the staff. But he would not talk or leave his room. When George stopped coming out Maggie went into his room to sit with him. She talked with him and worked on a quilt she began to make, her first. They passed their time like this. He never responded, but he didn’t seem to mind either. Eventually, she moved all of her sewing things into his room. After a while Maggie finished her quilt. Everyone remarked it was the most beautiful quilt they had ever seen. The nursing home put the quilt on display at the entrance. Days after Maggie finished the quilt George passed away. When the staff began to collect his belongings they found an envelope in his night stand. On the envelope was written “To Be Opened When I Die.” Inside the envelope was a short note. Maggie loved George too. She had made that beautiful quilt for George. That is why George was buried, wrapped in Maggie’s quilt. I have always liked Fulghum. I think he is a good way to start any feast. But the rest of these stories are personal. The first starts with my BFF. Cocoa was a standard size dachshund. She was a year older than me. When my parents bought her they said she was the family dog. She had other ideas. She was my dog and I was her person. Well sort of, she really looked after me as if I were her puppy. We grew up together. In elementary school we were inseparable. But as I got into high school there was band, Spanish Club, reports, thesis, exams, jobs, and of course Martha. Even though Cocoa and I did not spend the time together we had in years past, we still had that same connection and were always there for each other. One Saturday night I came home from work exhausted about three in the morning. Saturday was always a long night. After the restaurant would close, Philip and I would take everything out of the restaurant. We put chairs, tables, and everything in the parking lot. Then we would shampoo the carpets, let them dry, then put everything back. This Saturday night I came home and started to go into the back door. I paused and looked to the gate to the backyard. I knew Cocoa would be asleep on the other side curled up against the gate. She liked the yard better than being in the house. I thought about going to say good night to Cocoa, but I was tired, I could spend time with her in the morning. I started into the house, stopped, and went back to see Cocoa. It would only take a few moments. I patted her on the head, rubbed her neck and said good night to her. She looked up at me and licked my hand. We stood like that for a few moments before I went to bed. In the morning my mother woke me to tell me Cocoa had died in the night. I got up and took care of Cocoa the best I could, just as she would have done for me. The years passed, but occasionally, when leaving friends to head home, I would have that same feeling I had with Cocoa. At first I ignored it, but I learned to pay attention to that feeling as I got older. Not once have I ever regretted turning around to go back and tell someone how important they are to me. Sometimes they just needed to hear it, sometimes it really was the last time I would see them. I never knew which, I still don’t. But I never fight that feeling because those few moments are always the most important moments of my life. Friday morning I was texting with my Sister, Janette. She reminded me I did that with Graeme the last time I visited them. (Jeanette and Graeme, wife and husband, are my family of choice, not of blood). They were standing by the house and I was headed to my truck to drive back to Kansas. I stopped, turned around, and walked back to them. I gave Graeme a big hug, told him he was my brother just as much as Jason and Jeff (my two brothers by blood), and told him I loved him as my brother just as I loved them. Then I was gone. That was the last time I will ever see Graeme. Sis wanted to know if I knew I would never see Graeme again. She asked because she said she had never seen me walk back to someone like that before. No Sis, I did not know I would never see him again. But I did know it was important that I tell him and show him how important he was to me. It was something my BFF taught me (thank you Cocoa). For over thirty years, I always go back. And every time when I look back at those moments, sometimes years later, I have been glad I did every time. After Sis and I finished talking I was back on the road for my third day of Thanksgiving. While I was headed south on highway 15 I was thinking about our conversation and all those I had had the opportunity to say good bye too. I didn’t know I was saying good bye at the time, and not everyone I do that with dies. One day, when I have those feelings it will be because it is the last time I will see that person, not because they are going to die, but because I am, and that is okay too. I have a lot of people I am looking forward to seeing again and Graeme is just one of them. But each time it is an important moment for me and for them. Like I said I never fight that feeling, I always go with it. But I began to wonder “would I ever NOT follow that feeling?” Images of the people I know flashed through my mind. Each time I thought “No, I would go back and tell that person.” It was a long list, but it was a long drive too. Then one particular image came to mind. “Would I go back to that person as well?” I did not have an answer for myself. It seems like a simple question, right? I mean who would NOT go back to tell someone how important they are to you. I tell people how important they are even when I don’t have that feeling. Just last week I posted on a friend’s wall how important his friendship is to me, he’s mad at me this week but that’s okay. He is a good man and his anger does not change my opinion of him. We like to believe help enough people, smile enough, go to the right church, vote for the right politician, encourage enough people – tell enough people they are important to you, and the whole world will get better. Love conquers all. Right? No. Wrong. You do need to believe in some things, especially some things that you cannot prove. But it is also okay if other people do not believe in the same things. Life would be awful boring if everyone believed all the same things. So yes, there is one person that if I ever have those feelings when I am walking away, I will not turn back. Even if I knew it was the last time I’d ever see that person, I would keep walking. I do believe that every person who crosses your path is there for a reason. But that does not mean you are supposed to know the reason. So I’ll keep my mouth shut (just this once), and continue on my homeward path. I won’t look back either. My tears I will keep with my words, silently to myself. You see, sometimes the hardest thing to do for people who are so important to you is nothing at all. And sometimes that is the only thing they want from you. 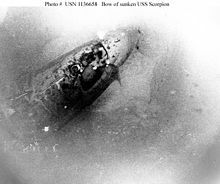 The last in our “WayBack Wednesday” Scorpion articles. This one is a poll so you can say what YOU think! I have been thinking about our nation this week. We are the most diverse nation on earth. Not the politically correct type of diversity, but real diversity. Our citizens represent every race and religion on earth. Our nations of origin (or our ancestors) represent every nation on earth. Even the United Nations does not do that. Our political, social, and economic views represent every political, social, and economic view on earth. No other nation in the world does that. This is the greatest strength and source of the greatest internal strife of the United States. But this is nothing new. Even though we are more diverse now than we were 240 years ago, even at our founding we were the most diverse nation on earth. At the founding of our nation Thomas Jefferson of Virginia was chosen to write the Declaration of Independence because he was from Virginia. At the beginning of our nation, Virginia was the largest and most influential of the thirteen states. This was also the reason John Adams of Massachusetts nominated George Washington as the first commander of our army. But a decade later when a constitutional convention was held to write our constitution this worried the attendees. With Virginia’s size and influence a direct popular vote would mean that Virginia could control the national government to the disadvantage of the other twelve states. They were looking for a way to create our legislative, executive, and judicial branches in a way that would acknowledge the size and influence of Virginia and yet also give other states, with their variety of political views, a voice in the government as well. For the legislative branch they hit on an idea. They would create two houses within the legislative branch. The number of members of the house of representatives would be based on the number of people living in each state. This would allow states with a larger population more influence. In the Senate each states would be represented by two senators. This would ensure each state would have some influence in the legislative branch while giving larger states more representation. For the judicial branch they decided to have the executive branch (the president) nominate Supremes Court justices and the Senate would approve them. This would give all states an equal voice in the judicial branch. Now they had to decide what to do about the executive branch. If the president were selected by popular vote then the larger states would control who the president would be and the smaller states would have no voice in who became the president. They had to come up with a way that let larger states have more influence in the presidential election but also made sure all states with their diversity of political opinion also had influence in who became the president. The idea the founders came up with was the electoral college. Each state would have electors equal in number to how many senators and congressional representatives they had. Since each state has at least two senators and one congressional representative, then each state would have at least three electors in the electoral college. The people would vote for president and the electors would be chosen based on how the citizens of that state voted. President John F. Kennedy (liberal) was our first Catholic president. Lyndon Johnson (liberal) our first president from Texas. Richard Nixon (conservative) our first president from California. Gerald Ford (moderate) was our first president who was not voted into office as president or vice president. 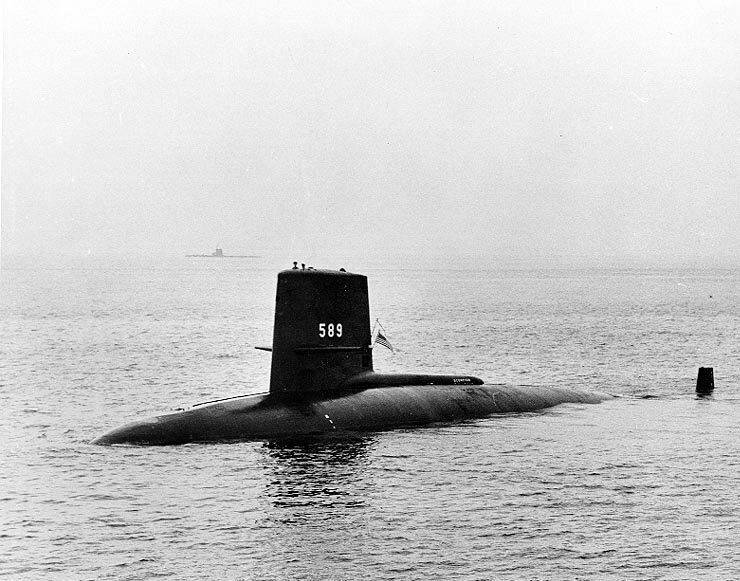 Jimmy Carter (liberal) was our first president who served on submarines in the United States Navy. Ronald Reagan (conservative) was our first president who was an actor. George HW Bush (moderate) was our first president who had also been a director of the CIA. Bill Clinton (liberal) was our first president from Arkansas. George W Bush (conservative) was the second president who was also the son of a president. Barrak Obama (liberal) was our first bi-racial president as well as our first president from Hawaii. Did you notice that among those ten presidents we have liberals, moderates, and conservatives. Of the 43 people who have been president we keep swinging back and forth between liberal and conservative (with a few moderates thrown in). Yet most of the time our country has been equally divided (or close to equally divided) between two opposing political views. This switching back and forth is exactly what the attendees to the constitutional convention wanted. As long as our government continues to swing back and forth we will have stability in our country because whichever side is out of power will eventually come back into power. If the day ever comes when one side or the other eventually permanently controls the government the other side will rise up in revolution. So, if your side is out of power, be patient you’ll be back. And if your side is in power? Enjoy it while you can. Has there been a president from your state? What is the “first” president YOU are looking forward too? P.S. That was not a mistake. Barrak Obama, our 44th president, is the 43rd person to be president. That is because Grover Cleveland, our 22nd president, was elected as the 22nd and 24th president.